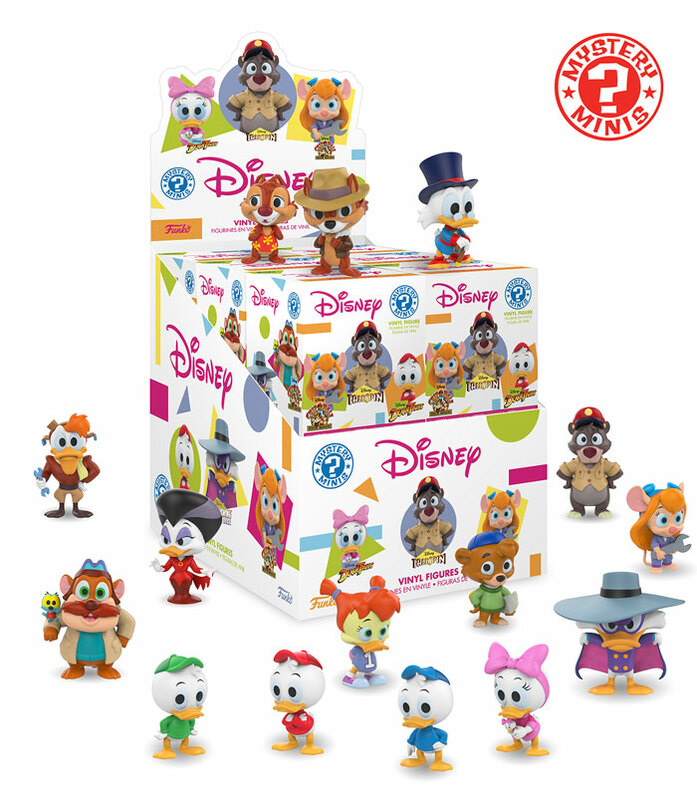 Funko announces Disney Afternoon line! Collectible blind boxes have really gotten big in recent years. I am usually pretty reluctant to buy them, because I am specific about exactly what I want when it comes to collectibles. My wife is a huge Star Trek: The Next Generation fan, so I had bought her two TNG Blind Boxes...and they were both Deanna Troi. Not exactly getting my money's worth there. But Funko's newest Blind Box releases are something I may have to check out. They are doing DISNEY AFTERNOON! The assortment included DUCKTALES, RESCUE RANGERS, TALESPIN, and DARKWING DUCK. These toys are incredibly cool looking. Hopefully we will also get an assortment for the new DUCKTALES soon too.